Hold onto your hats ladies! You are going to love what I have in store for you today!! 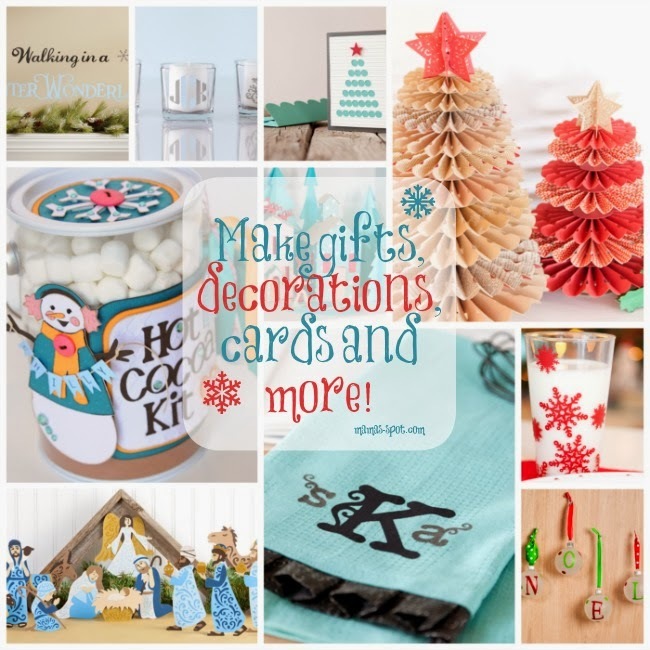 Now is the perfect time to get your craftiness on in time for the holidays! And you couldn't ask for a better tool to get the job done! 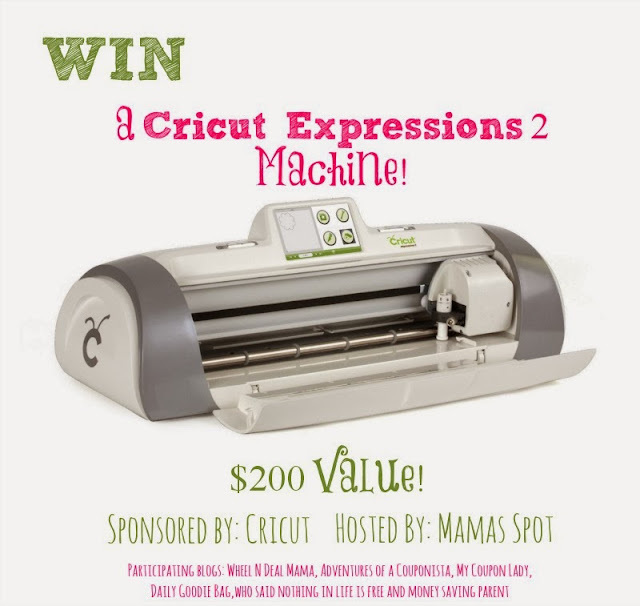 The Cricut Expressions 2 Machine is super easy it was to use. It only took me a few minutes following the instructions to get it all set up. Then it was just a matter of deciding on what project to do first! You can head over here to see some truly amazing projects that all have step by step instructions. It's the little machine that can pretty much do anything! You name it... from cards to gifts to amazing decorations! With a little imagination you can make anything you want! Are you dying to try one out now? Well you're in luck! Just follow the instructions on the rafflecopter form below and you could be using one of these baby's before Christmas! This would also make an amazing gift to give to the "crafty" person you know! Hurry and enter below! Who Said Nothing In Life Is Free, Money Saving Parent and Entirely Eventful Day.